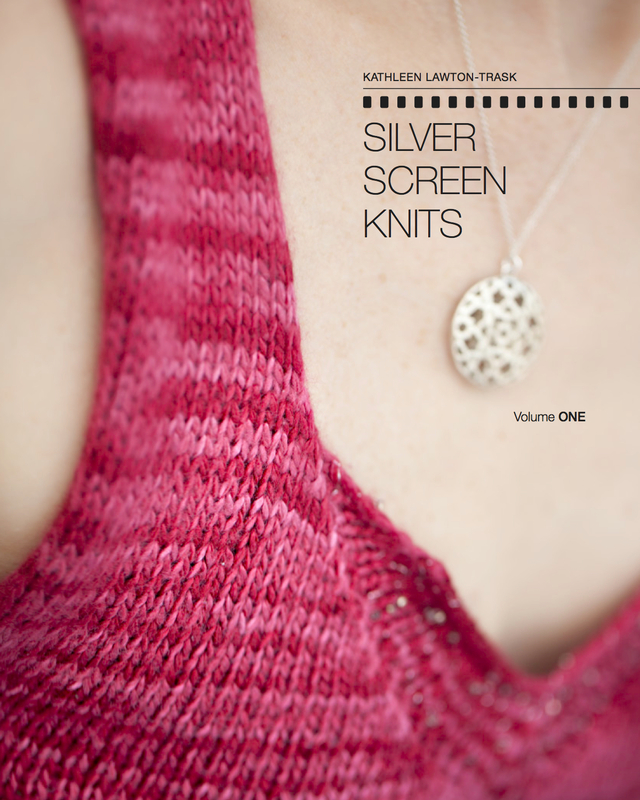 Your Knitting Pantry – What Every Knitter Needs | Knit Like You Mean It. The Knitting Pantry: What do you need besides sticks and string, hands and tea? …not to mention the results of Stash Giveaway II (below). A while back Lynn of Cackalacky Foodie posted a response to a desperate question I’d asked her at one point: what should be in one’s pantry at all times? [Hey, look, I’m famous! …well, internet famous.] I started thinking about what is in my knitting pantry, other than yarn and needles and about a thousand pairs of scissors (do you all have the same problem I do with scissors disappearing?). So…this is only Phase I of the pantry, for the beginning knitter, the one who is making scarves and perhaps a hat or two. The knitter just at the beginning of her addiction, who still has money in her wallet and space in her house. Phase II will be posted next week; if you suspect you are a Phase III knitting addict like me, do post an admission of such in the comments so we can commiserate and come up with the Phase III list together. Stitch Markers. From cute to functional, stitch markers are a must. You pop them onto your needle between stitches to identify the beginning and end of section of your knitting (a pattern repeat, a series of decreases, even a sleeve or back of a sweater if you’re knitting it in the round). You’ll lose them, find them, lose them again…you can never have too many. You can get them in your local yarn shop, make your own, or explore the enormous range of handmade stitch markers on Etsy. I like the simple rubber circles for everyday knitting, but I’ve been known to get all fancy with them, too. Row Counter(s). Whether you use one of the iPhone apps available for this (StitchMinder is my choice) or the spiffy Kacha–Kacha from Clover, you’re going to need to count rows at some point in your knitting career. Don’t assume you’ll remember how many you’ve done; I promise you, that will lead to tears. Like a good pair of scissors, row counters tend to disappear and reappear, so you might want to get more than one. Tapestry Needle(s). I like the Clover Chibi (another cute name from Clover), mostly because they come with a little case that makes it harder to lose my needles. [Also, when I was little my mother told me this story about a friend of hers who was hemming a skirt, dropped the needle, knelt down to find it, and stood up to discover she’d knelt on the needle and the thread was sticking out of her knee because the needle was in her knee. Sewing lessons with my mother: sometimes scarier than Halloween. Anyway, the Chibi case also keeps me from kneeling on any rogue needles, or so I believe.] 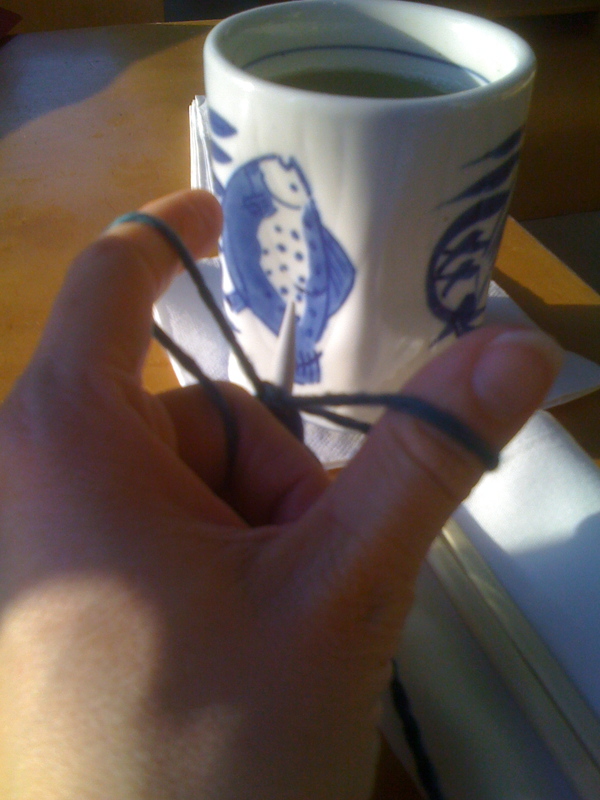 The bent tip Chibis are made that way to make it easier to insert the tip into knit stitches, or so I’m told. Crochet Hooks. Don’t give me that line about knitters and crocheters being like the Hatfields and the McCoys. Crochet hooks are indispensable for picking up dropped stitches (and, hey, you can learn to crochet, too!). Get a few different sizes, since you’ll want one that roughly corresponds to the size of your needle when you’re using them to correct knitting errors. OK, people. The results of the latest stash giveaway: Congratulations, Michelle! Michelle’s daughter Annika is the real winner here – she’ll receive the Lorna’s Laces Shepherd Sock from last week. Yay for young knitters! I will post a new yarn giveaway this week, so get your comment fingers all limber and things. Just to practice, why not comment on this post as well? Tell us what’s in your knitting pantry. I hear you, BBG – the same size needles curse is upon me as well. I bought some nifty Della Q needle cases to keep everything straight, and they’re great – but I have, for example, more size 4 DPNs than will fit in there (and how many do I really need, anyway?). This is clearly a subject for the Phase III post. Maybe I will give away some needles as well. Does anyone need needles, or are all knitters in the same ridiculous situation we are? Hmm. What about those knit gauge thingies? The little metal ruler gadgets, the ones with the holes inside that let you figure out what size needles you have. Phase II? The Susan Bates Knit Chek! How could I forget the Knit Chek? I have about four of them and they are good for so much. I think I am going to have to do a Phase I Addendum. Oh dear. I think I’m well into Phase II, and I have only been knitting 4 months. I have avoided Phase III because I have stashed very little yarn. Okay, I have a BIG plastic container from Container Store, and *most* of it fits in there. But I have an app for my iPad to keep track of my needles, and I have 13 pairs of circular needles, 11 sizes of dpns (the dreaded DPNS); and 7 sizes of plain ole single pointed needles. Oh, and a HiyaHiya case to keep the circular needles in. Stitch markers (I wish you hadn’t put in that web link on Etsy…too much temptation!) A tape measurer, 3 cable needles, crochet hooks in many sizes, and the handy dandy Susan Bates “knit chek” for measuring gauge and also needles sizes. Oh and sticky notes for marking where I am on a chart. The Chibi tapestry needles (love the case — I haven’t lost one yet!). I also have Goody brand elastics for grouping my dpns together. Oh yeah, 3 row counters. I am photographing Stash Giveaway III now!